Find out more about us and our 35 years of ground-breaking innovation that continues to change the game. 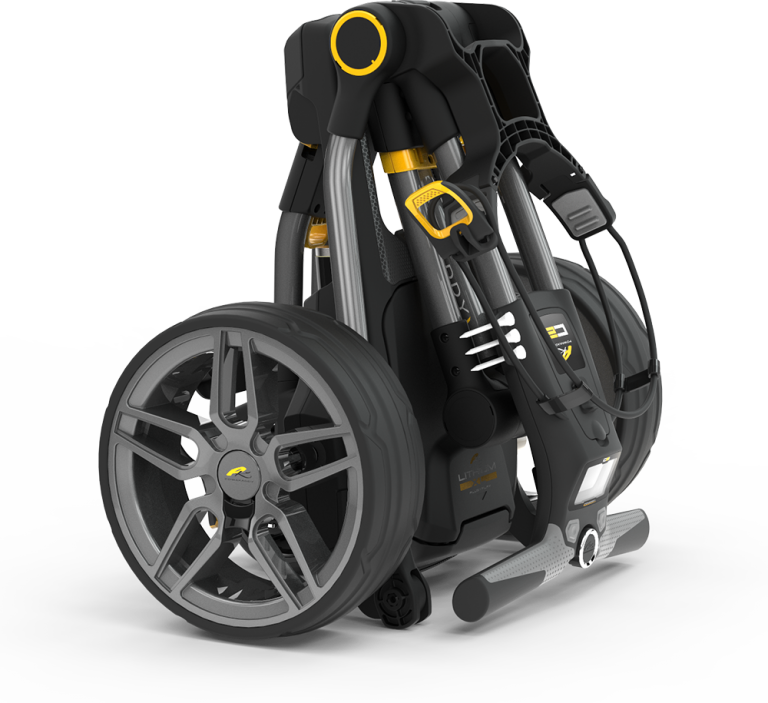 Ever since PowaKaddy manufactured the first ever commercially-viable electric trolley in 1983, the brand has led the way when it comes to electric trolley innovation, cutting-edge designs and ground-breaking technology. All the research, design and development of PowaKaddy products are carried out at the PowaKaddy headquarters in Sittingbourne, England. It’s here that a team of expert engineers with an unerring obsession with perfection, constantly find ways to make things work better. With over 1 million trolley sales, we continue to set the standard in electric trolley innovation. As the best-selling brand in over 50 countries worldwide, we are driven to deliver the perfect combination of ‘best in class’ performance and user-friendly functionality with outstanding value. This has led to the launch of several ‘industry firsts’ that have revolutionised the game – including the first 3-fold trolley, the introduction of the Cart Bag and the world’s first electric trolley with integrated GPS technology. Thanks to our super-quiet motors and transmission systems, PowaKaddy became the first golf trolley brand to be awarded a Quiet Mark ™, the international award for excellence in low-noise technology from the Noise Abatement Society. Powering every PowaKaddy electric trolley is the ultra-lightweight PowaKaddy Lithium battery. It is the thinnest, lightest and most powerful lithium battery on the market. Ensuring you have more energy for your game, the PowaKaddy Lithium battery also boasts the unique Plug ‘n’ Play™ system which eliminate the need for any fiddly connection wires which allows batteries to quickly slot into place and battery can remain in the trolley when folded down. As Trolley Partner to the PGA, we ensure that the best equipment is placed at the fingertips of the country’s elite Amateurs and PGA Pros.